This DIY Christmas Tic Tac Toe board is an easy to make holiday craft perfect for the kids to make as homemade gifts for their classmates and friends. Are you looking for something fun for your kids to do this holiday season? Are you looking for homemade holiday gift ideas? This DIY Christmas Tic Tac Toe Board Game is the perfect solution. 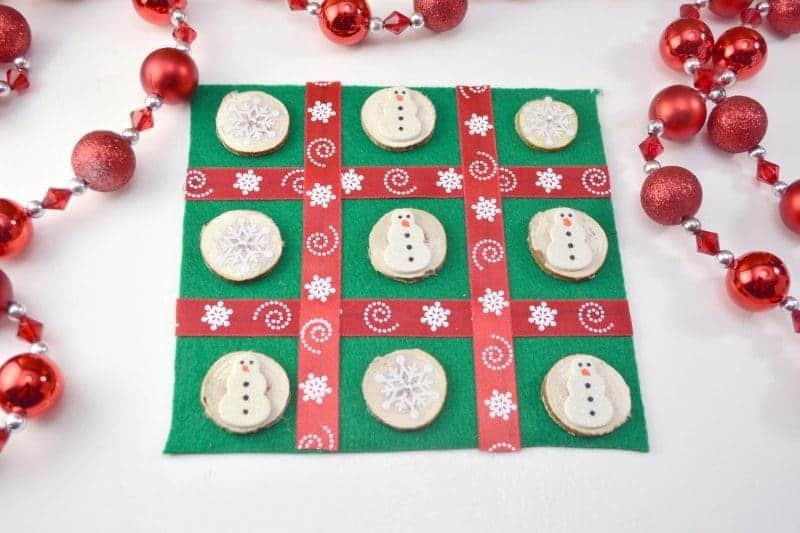 You could make these holiday tic tac toe games and give to the kids in your family. You could also work with your kids to create these tic tac toe game boards for them to give to their friends at school or other kids in the family. This DIY Christmas Tic Tac Toe craft is simple to make using felt, ribbon, wood slices and stickers. 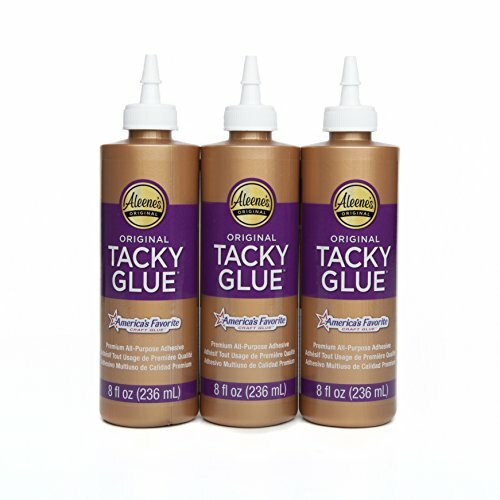 You likely have some of the supplies on hand in your craft room. The best part about this Christmas craft is being able to customize it any way you want with the stickers. You could do two different kinds of ornaments for the pieces or you could do Santa and a reindeer. 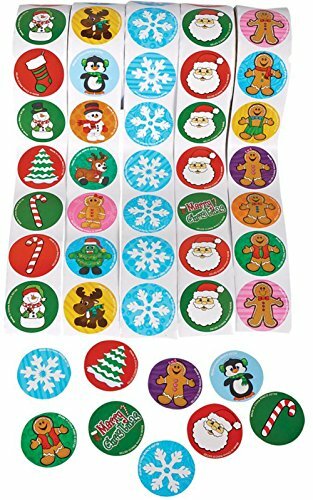 You could make it a winter themed tic tac toe game board, or a Christmas themed board. Any theme will work – just have fun with it. If you’re setting up at a craft fair this year, Christmas Tic Tac Toe Board Games are something you could make very easily and could sell without any problems. People are going to love these cute homemade Christmas Tic Tac Toe board games as Christmas gifts! 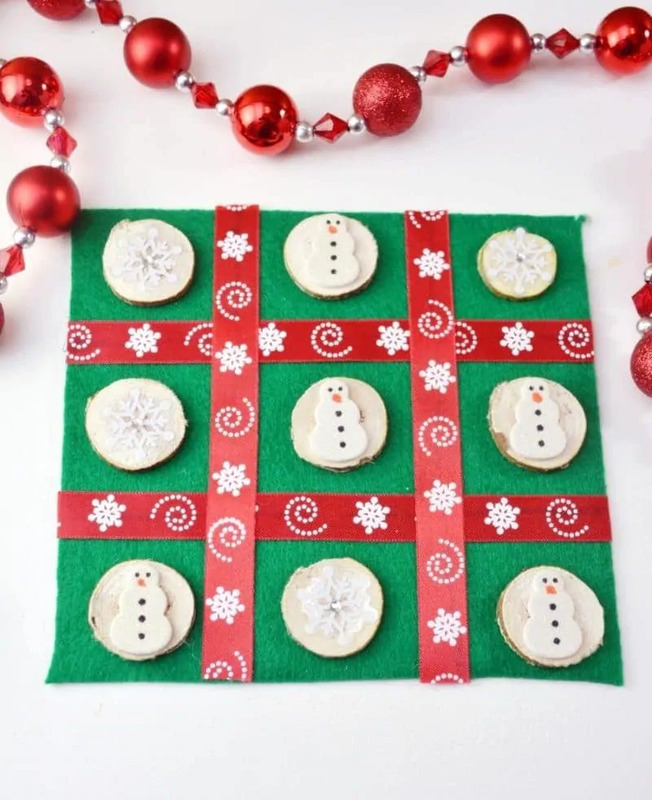 Whatever reason you make these DIY Christmas Tic Tac Toe Board Games, you’re going to love them. They are fun to make and so fun to play with! Start by squaring off your felt sheet into a smaller square shape to create your tic tac toe board. Measure two lengths of ribbon to go across the length of your board and two more to go across the height of it. 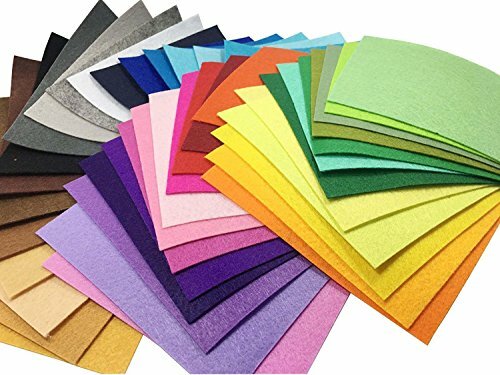 Using craft glue or a low temperature hot glue gun, attach the ribbon to form a tic tac toe board pattern on top of the felt. You can see the photo for reference if needed. 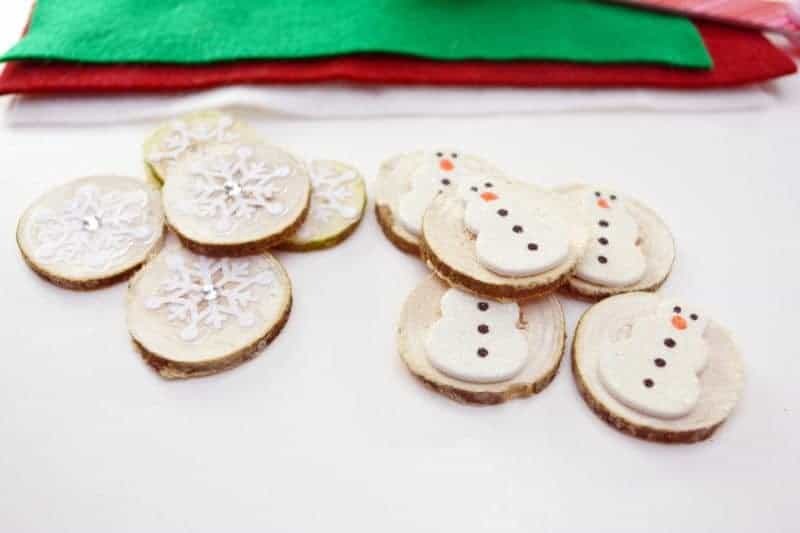 Attach small holiday foam stickers or other small holiday decorations to the front of the wood slices. 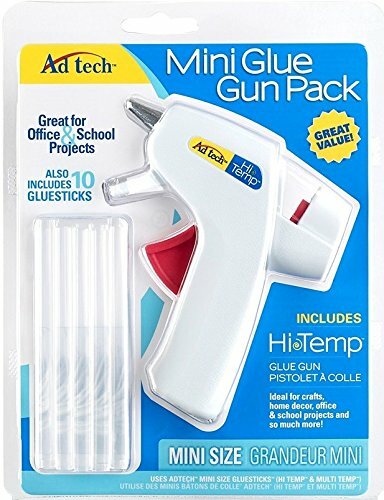 Use craft glue or a hot glue gun to really make them stick if needed. 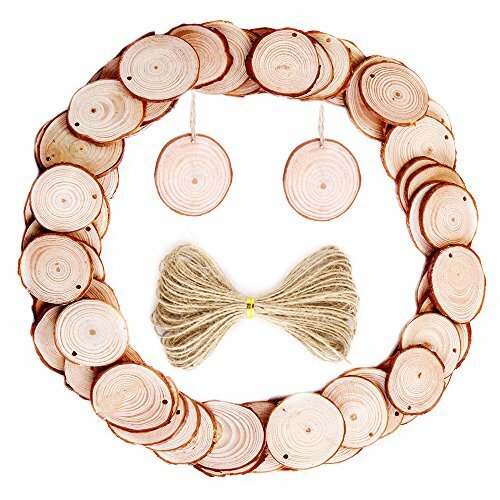 You will need 5 wood slices in each pattern. For instance, on our board, one side is snowflakes and the other is snowmen. This will work with any combination of holiday decorations. That is it! Simply lay the tic tac toe board on a flat surface and enjoy playing. The board can be folded up for easy storage when you are done. I hope that you enjoyed this easy DIY Tic Tac Toe board game and that you have a very happy holiday! I am planning a holiday party for the kid’s school so this is perfect for us to do as a craft and activity that’s perfect for the holidays! 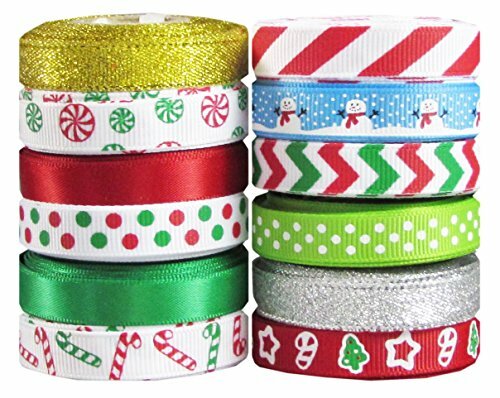 This would be so cute as stocking stuffers or goodie bag treats for our yearly holiday party. 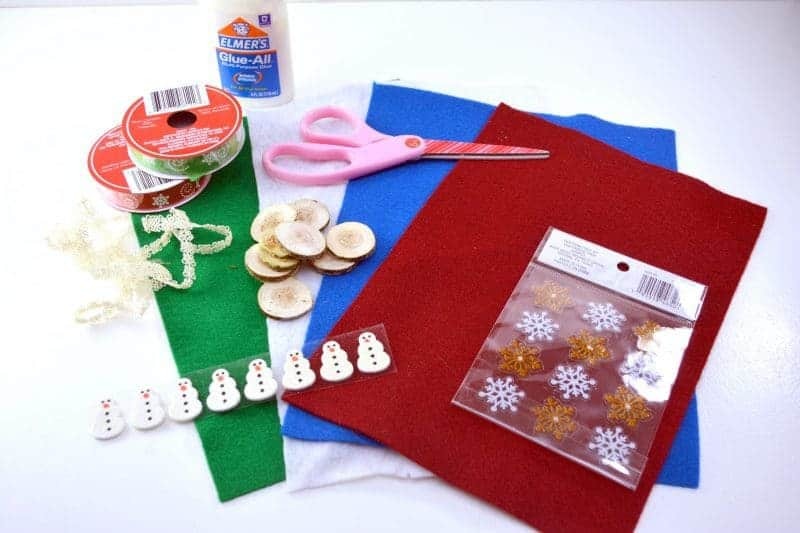 I love cute and easy Christmas DIYs. This would be a great Elf on the shelf activity! Too cute!! I love that it’s so easy and yet an engaging game everyone can play!! These would make adorable stocking stuffers or gifts to friends!! Thank you for sharing such a nice DIY! My teenagers love to play this game. We do something similar. We use material and ribbon mats that I made years ago and every year I make cookies especially for those mats. They can have dessert and play a fun game too.